TRAVELSAVERS Worldwide Independent Network (TWIN) joined forces with EQ Travel Management at the Business Travel Show in London last month to present, “The Evolution of the Business Traveler,” to an engaged audience of over 50 attendees of corporate buyers and procurement managers. The Business Travel Show is Europe’s largest specialized exhibit and conference for buyers and managers of business travel. The event links corporate travel buyers and managers with suppliers, knowledge and contacts to help create and develop successful travel programs. Over 250 suppliers, more than 175 expert speakers and thousands of attendees participate in the conference. Speakers are: Franc Jeffrey, CEO, Duncan Sanders, Operations Director, Nicola Wilson, Client Relationship Manager of EQ Travel Management and Betty Tilton, Vice President, TWIN used their expertise to reveal how technology and travel today is woven into the fabric of everyday life. 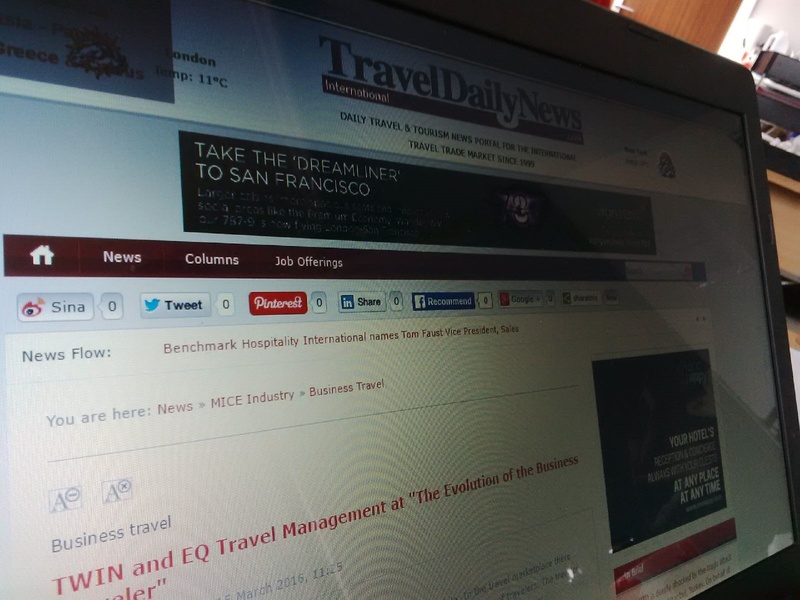 Travel today is: connected, intelligent, experiential and mobile. In the travel marketplace there are over 17,000 apps that are used across the board by all generations of travelers. The traveler has officially evolved and uses all of these tools to move around the world with ease! “Bleisure” trips, or ones that combine business and leisure, are rising fast as a common form of travel worldwide, according to a new report from Bridgestreet Global Hospitality published by Skift. “This next-generation corporate traveler will demand a tailored experience. Capturing and capitalizing on big data, technology and a fresh critical look at your existing travel program will allow you to deliver better pricing and personalized service,” says Betty Tilton, Vice President, TWIN.